To make ginger-infused simple syrup, heat sugar, water and ginger; stir until sugar is completely dissolved. Cool and strain. Brew tea, steeping for 3 minutes; cool. In a shaker, combine 1/2 oz. ginger-infused simple syrup with all other ingredients; shake well. 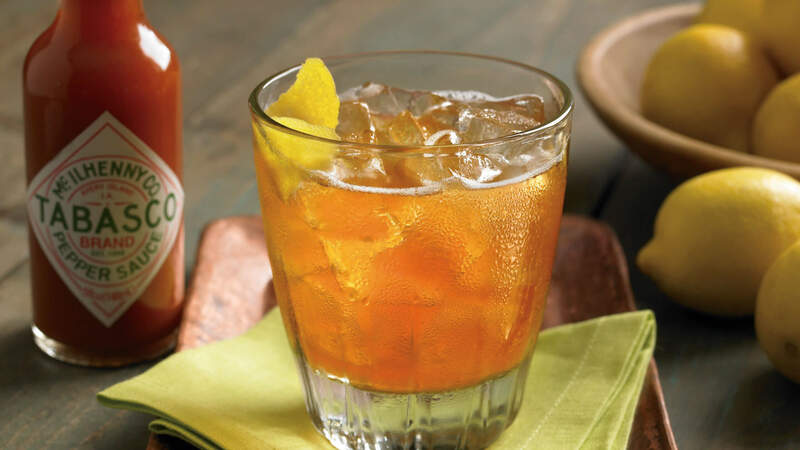 Pour over ice in a highball glass. Garnish with a lemon twist.